Accidentally or intentionally we may experience an error and it is a matter of course on our smartphone, it would be nice if we can solve this problem without having to go to service center (unless the damage is severe enough). If you experience problems such as bootloop (stuck in oppo logo) on Oppo Mirror 5 you can try the tutorial below. Bootloop is a condition which smartphone stuck on logo and cannot go to homescreen, this happens due to many things could be because there is an application system crashes, error in modifying the file system or other things. In the following tutorial we will re-install the firmware to be able to work again properly. This tutorial will remove apps and games which are installed on your smartphone and SMS along with its contacts. Remember put the file outside the folder !! 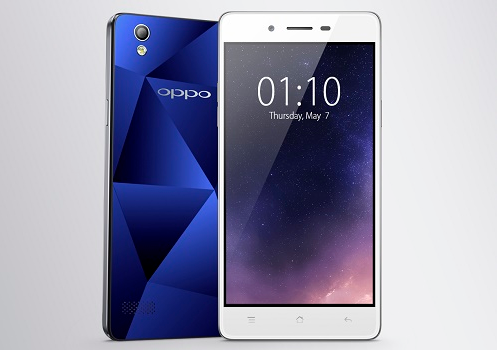 Now turn off your Mirror 5 and then press and hold the Volume Down (sound reducers) then press also hold the POWER button simultaneously for a few seconds until the Oppo logo appears and then release. 1 Tanggapan untuk "Repair and Overcome Oppo Mirror 5 Bootloop and Stuck on Logo Without PC"